California vehicle registration information for direct import. HTVR 9A. b) Emissions Requirements - Vary state to state. Some are state run, some are not. How Do I Register a Qualified Imported Vehicle? Imported vehicle registration applications require the same documents shown in the How To: Register A Vehicle From Out-of State (Nonresident Vehicle) (HTVR 09) brochure available at www.dmv.ca.gov. • Customs—Evidence the vehicle has cleared CBP. Evidence is CBP forms 3299, 3311, 3461, 6059, or 7501 stamped or endorsed by CBP. — The federal certification label affixed to the vehicle certifies the vehicle conforms to FMVSS. — A copy of the letter from the manufacturer certifying the vehicle complies with FMVSS and U.S. emissions standards (usually attainable only for vehicles from Canada). — A copy of the DOT bond release letter issued by the NHTSA. — An EPA and California emission label affixed to the vehicle..
— A certificate of conformity issued by a CARB-licensed laboratory. No smog certification is required if this document is submitted for original registration. 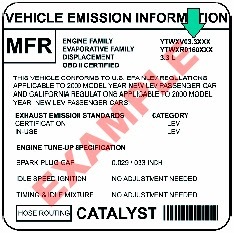 — A letter from the manufacturer stating the vehicle complies with FMVSS and U.S. emissions requirements (usually only attainable for vehicles from Canada). 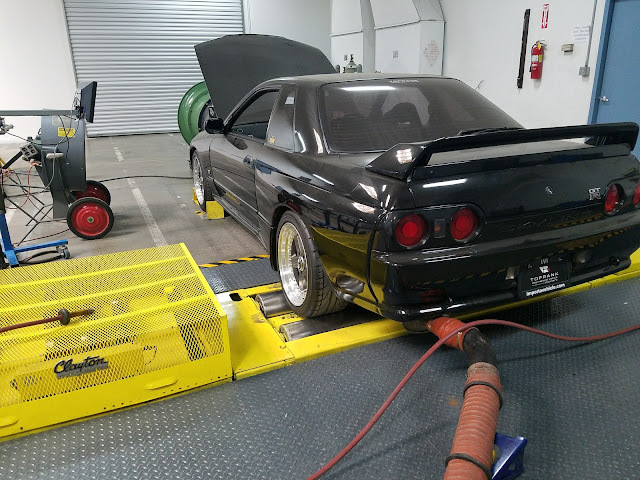 R32 Nissan Skyline on the emissions dyno at a California certified lab.